eDatais Web Development and Promotion. Web design and SEO with a touch. Period. eData is an established company with over 15 years offering web design and SEO positioning. 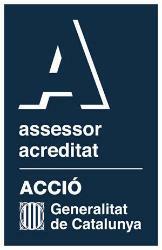 We are in Barcelona and currently offer international service, both B2C and B2B. Our goal is simple, we build different web pages and we do it differently, both in concept and methodology (the basic difference is the CMS we use) and give them a visibility, much greater than what our small size might suggest. After opening up a line of comprehensive services we have become a benchmark for the theoretical and technical implementation of SEO, we live pending on novelty, Standard and keeping in mind the lessons of SEO history. No exaggeration to say that we are experts in Structured Data, the latest in Semantic SEO for Google and other search engines; all this in a context of efficient web design and SEO, rational, attractive structures without technical errors and fast loading. In addition, you will be visible in Google... Call us. Our mission: provide client companies and institutions better business channel through effective web presence. Our must: change and adapt to give more than others while keeping up with illusion and perseverance like the very first day.